As luck would have it, on her first day at Holbein Entertainment Co., Miki Ishimoto is tasked with managing a brand new idol group! A recent college graduate, Ishimoto is eager to begin her career in the industry. However, her department's responsibility is...statues?! 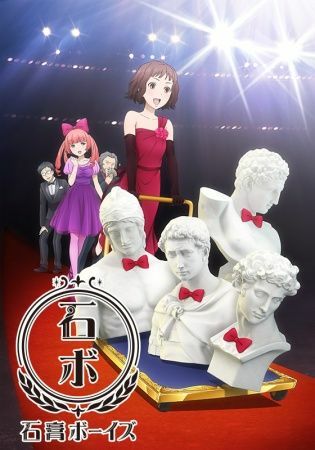 The statues in question are the Sekkou Boys, or "The Rockies," a boy band comprised of four Greco-Roman sculptures: St. George, Mars, Hermes, and Medici. These four busts are new to the entertainment scene, and it is up to Miki to ensure the Rockies' prosperity in the idol world. But will they be a stone-cold success? Or will Miki's management prove to be a rocky start to stardom?